A teacher, playwright, novelist, painter, and theater critic, Stark Young was born in Como, Mississippi, on 11 October 1881, to Mary Clark Starks Young, who came from a wealthy Virginia planter family, and Alfred Alexander Young, a Civil War veteran and physician. Following the death of his mother when he was eight years old, Young spent the next five years in the care primarily of his maternal aunts and his uncle, Hugh McGehee, who imparted the traditional southern perspective that would shape much of Young’s work. Alfred Young remarried in 1895 and moved the family, including Stark and his younger sister, Julia, to Oxford, Mississippi. Young was educated in private schools before enrolling at the University of Mississippi in 1896. After graduating in 1901, Young, like many early twentieth-century southerners, ventured north for graduate school, completing a master’s degree in English at Columbia University in 1902. Under the tutelage of Brander Matthews, Young became acquainted with the methods of literary and theatrical criticism and attended performances by many of the era’s leading actors. Over the next fifteen years, Young pursued an academic career, with stints as a professor of English at the University of Mississippi, the University of Texas, and Amherst College. While at the University of Mississippi, he published his first volume of poetry, The Blind Man at the Window (1906). In Austin, he was a popular instructor and founded the Curtain Club, a little theater organization, as well as the Texas Review. After moving to Amherst in 1915 he became a revered teacher and critic, contributing numerous essays to New Republic, the Nation, and the Yale Review. He studied and wrote in Spain and Italy during 1919, after which his interest in theater and a burgeoning freelance writing career led him to abandon academia for other pursuits. In 1921 he left Amherst and at the invitation of editor Herbert Croly became a drama critic and editorial board member at the New Republic. During the 1920s Young published widely not only in the New Republic but also in the New York Times and Theatre Arts Magazine. He lectured on the history of drama at the New School for Social Research and authored a number of plays, including The Saint (1925) and The Colonnade (1925). During the late 1920s and early 1930s, Young broadened his interests from drama to fiction, writing four novels set in Mississippi: Heaven Trees (1926); The Torches Flare (1928); River House (1929); and his most famous work, So Red the Rose (1934). So Red the Rose presents the Civil War saga of the McGehee family, although the war itself is peripheral to the story, which juxtaposes northern industrial society against southern agrarian life. In many regards, So Red the Rose is a fictional translation of the ideals expressed in his essay “Not in Memoriam, but in Defense,” which appeared in the Agrarian manifesto I’ll Take My Stand (1930). Young’s opening salvo in the essay summarized his basic beliefs concerning southern history. While he agreed that “we can never go back,” Young argued that southern civilization contained many “worthwhile things” that ought to be preserved. 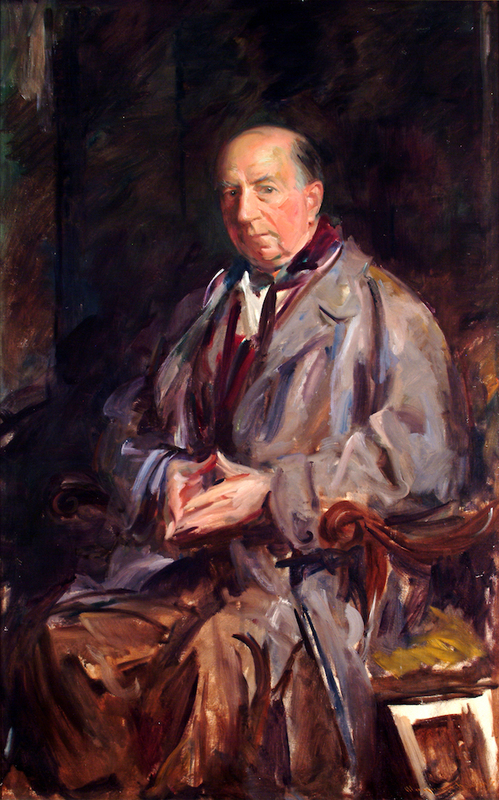 Although he disavowed commitment to the political cause of Agrarianism, Young maintained a long correspondence with Donald Davidson and saw himself as an exemplar of the “southern idea.” Moreover, his plays and novels reflected a cultural commitment to rural life and a vision of an organic society based on land, family, and tradition. By 1940 Young had become disenchanted with the New York theater scene. Following Croly’s death in 1930, he also became increasingly disillusioned with the direction of the New Republic. In 1947 he retired from the magazine, bringing a close to a forty-year career during which he published more than one thousand critical essays. During the 1940s he turned to painting and participated in several exhibitions in New York and Chicago. He suffered a debilitating stroke in 1959 and died in New York on 6 January 1963.